Chennai and Hyderabad highway, will be diverted towards the inner ring road soon. More than 95 per cent of the IRR works were completed and the CRDA officials are trying to complete the remaining works at the earliest. People in One Town area, Kedareswarapet, Gunadala area are suffering a lot for the last five months due to diversion of heavy vehicles plying between Hyderabad Kolkata and Hyderabad-Chennai highways through Vijayawada city. Due to ongoing Durga temple flyover construction works, the city police diverted the traffic via K Market, Chitti Nagar tunnel and Gollapudi. 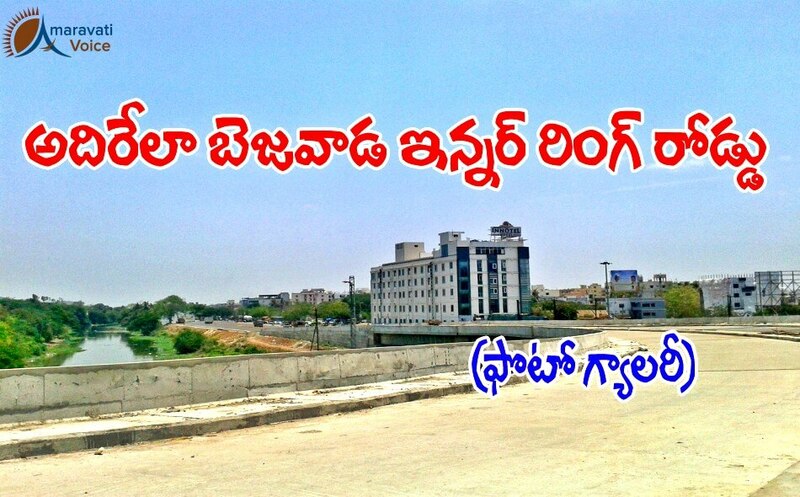 The second route is BRTS Road, Erra Katta, Chittinagar tunnel and Gollapudi. Vehicles coming from Hyderabad are entering at Gollapudi and passing via Chittinagar, railway station, K Market and reaching Pandit Nehru Bus Station area. The alternative route is Gollapudi, Chittinagar, Erra Katta, Kedareswarapet and BRTS Road. The traffic can be diverted towards IRR now. The approach road works at Ramavarppadu ring and central lighting works of two bridges are yet to be completed. Keeping in view the Krishna Pushkarams, District Collector Babu A and the CRDA officials inspected the works and asked the contractor to complete the works on a war-footing. If the remaining works were completed, the heavy vehicles plying between Hyderabad-Kolkata and Hyderabad-Chennai will be diverted via inner ring road. Vehicles coming from Chennai to Hyderabad can pass via Ramavarappadu, IRR and finally reach Gollapudi without entering the old city. Inner ring road will be very useful till Durga temple flyover works are completed. Once the Durga temple fly over works are completed vehicles passing between Chennai-Hyderabad will be diverted through the Durga flyover.